FORT MYERS, Fla. - Dec. 14, 2017 - PRLog -- The 61st annual Holiday House is open in downtown Fort Myers. 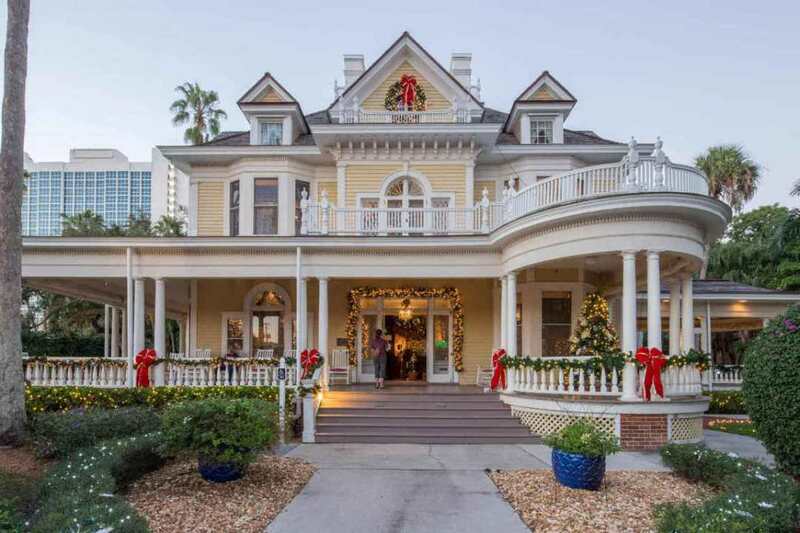 The Fort Myers Woman's Community Club (FMWCC) has decorated both the historic Burroughs and Langford-Kingston homes at 2505 and 2500 First Street in miles of ribbon, garland and lights to recreate the sparkle and richness of traditional décor. This year's theme is "The Wonder of Christmas." "Both homes are simply dazzling," said Tracy McGee, Holiday House chair. "The Fort Myers Woman's Community Club members and volunteers work for months every year planning and preparing decorations as their special gift of love to the community, and we think this might be the best Holiday House ever!" Holiday House 2017 is open now through Saturday, December 23 from 5:00 to 9:00 p.m., with the last tour beginning at 8:30 p.m. Tickets are $5 for adults and children under the age of 10 are free. Veterans and active members of the military are free with identification. Santa Claus will be at the Langford-Kingston home to hear children's Christmas wishes. Children should also be on the lookout for some sneaky, hidden elves. The Burroughs Home & Gardens http://burroughshome.com/ and the Langford-Kingston Home are owned by the City of Fort Myers and managed by the Uncommon Friends Foundation. Holiday House proceeds are used to manage and maintain the two homes year around. Free parking is available in the empty lot at First and Fowler Streets. For more information, visit http://burroughshome.com/tours/holiday-house/ or on Facebook at HolidayHouseFortMyers. The Uncommon Friends Foundation, a nonprofit 501(c)(3) organization established in 1993, is dedicated to lifelong character building among today's youth and business leaders. Its mission is to promote character education in schools, business ethics in the workplace and historic preservation of the Burroughs Home and James Newton Archives.